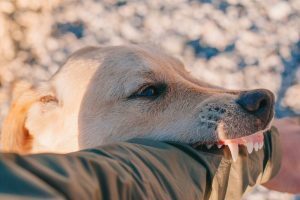 The topic of dog bites rarely comes up until you or someone close to you gets bitten. Many people think of their dogs as their best friends, their furry children, and their faithful companions. Some breeds are more likely to bite than others, but even the most docile dog can bite under certain circumstances. Sometimes pets get scared or they don’t feel good and don’t want to be bothered. If a dog has puppies, she is more likely to bite someone when they get too close. It’s a dog’s natural instinct to protect her young. In all these cases, the dog is more likely to nip you than do serious damage. Often, the extent of the damage is a bruise or small cut. Although you need to treat any bite that breaks the skin seriously, a severe bite wound can damage the soft tissue or even the bone. Most dog bites are nothing more than a warning to keep your distance. Wounds from a dog attack, however, can be severe or even fatal. Dog Bites vs Dog Attacks: What’s the Difference? While current data isn’t available, the CDC estimated in 2001 that 4.7 million dog bites occur yearly in the U.S. The growing number of households with dogs suggest that number is even higher today. The number of people who die from dog attacks is much fewer, at between 30 and 40. Dog attacks result in more severe and repeated bites and extensive injuries. These are the incidents we hear about in the news. These cases often result in major injuries that impact the appearance and abilities of the victim, or death. If you jog or bicycle, you’ve probably been chased by a dog at some point. The fast movement is something out of the ordinary for them so it attracts their attention. Although some stop at chasing the person for a short distance, others feel the need to become more aggressive. They feel the movement is out of place or in their territory. The person acts as a trigger to make the dog act more aggressively. Even more confusing is when a normally docile dog turns on its owner. 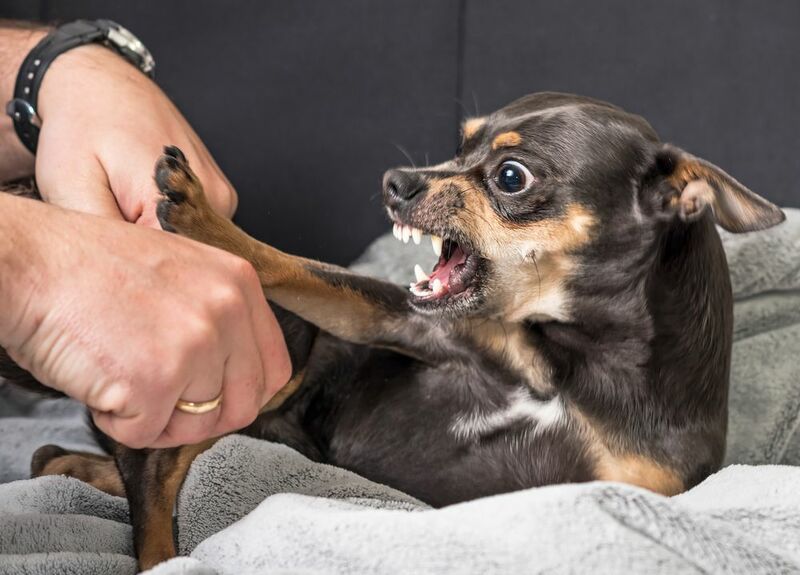 Experts explain that something has to trigger the dogs’ aggressive behavior. Some potential scenarios include the owner interfering with their pursuit of prey or the dogs not being well-fed. The fact is that many dog owners fail to see early signs of aggression in their dogs. They either don’t take the time to teach them better behavior or they like the idea of having a fierce protector. It never occurs to them that a vicious dog might turn on them or land them in court on the wrong end of a personal injury lawsuit, or worse. A vicious dog is dangerous to anyone who comes into contact with it, including its owner. Dog ownership is a serious responsibility. It’s up to the dog owner to teach their dog acceptable behaviors and to help them learn socialization skills with people and other dogs. It’s easier when the training starts while they are puppies. Continual positive reinforcement will help prevent them from becoming aggressive as they grow into adults. Puppies often bite when they play with their other canine family members or their humans. So much of what they do is with their mouths. It’s up to you to teach them bite inhibition to prevent their normal responses from turning into a serious bite. When a new puppy is eating, you might think it’s cute when he growls at you for coming around his feed dish. When you fail to heed his warning, the next step might be a bite. It’s important to turn this into a teaching opportunity. Never make a game out of a puppy’s biting. He won’t always be that small or nearly as gentle. When the puppy tries to bite you, gently hold his mouth closed for a few seconds and say, “No bite.” Repeat each time he tries to bite. Some dogs catch on faster than others, but eventually, it will work. This is something you should do when the puppy isn’t eating, too. Puppies like to bite. The sooner you teach bite inhibition, the less likely he will be to hurt someone when he’s older. Any statistic you read about dog bites will tell you that more pit bulls are responsible for bites than any other breed. Caesar Milan of The Dog Whisperer is the first to tell fans that he has a passion for the pit bull breed. “Daddy,” a pit bull terrier, proved to be the perfect example of the well-behaved dog on the show until he passed. Milan explains that he exposed Daddy to all types of other dogs and taught him socialization skills from the beginning. He even credits the dog with teaching him how to connect. Why then is it that pit bulls are considered the most dangerous dogs on the planet? Many dog experts will tell you there’s a problem with people; not with pit bulls. The pit bull breed has a good temperament and is well-behaved with the right socialization and training. Unfortunately, the dogs have long been a top choice for use in dog fighting. Many dog enthusiasts consider dog fighting a form of abuse that turns otherwise gentle dogs aggressive. There’s a lot of difference between abusing a dog to bring out its aggressive treats and teaching it to protect you and your family on command through positive reinforcement. It’s a common misconception that only large dogs pose any real threat. The reality is that small dogs are often just as likely to bite as a large one; if not more so! Number one on the list of vicious dog breeds is one of the smallest breeds around: the Chihuahua. Although some larger breeds including the chow chow and the rottweiler make the top ten list, they are in company with the Jack Russell terrier, dachshund, and even the dalmation. The point is that any dog of any breed can bite. It’s more a matter of care and training than breed. Who Is Most Likely to Get Bitten? We’ve already talked about the intrigue that joggers and bikers hold for dogs. These are often the targets of dog attacks instead of simple bites, too. While these bites are usually by dogs the person doesn’t know, the majority of dog bite victims are familiar with the dogs that bite them. If you get bitten, it’s most likely to be at the home of a friend, neighbor, or family member. Children are more likely to be victims of dog bites than adults. They are also more likely to be bitten in the face and require plastic surgery. Children often get too rough with dogs without realizing their actions could hurt them. When they step on a dog’s tail or try to ride on its back, it might bite them because of the pain or fear the child’s actions causes. – Teach children to respect the family dog and never to act too aggressively toward it. If you’re visiting someone or you just brought home a new dog, don’t leave them alone with it. Supervise their interactions to make sure they know the right way to play. – Never bother a dog while it’s eating or when it’s feeding its puppies. – Don’t approach a dog or try to pet it if you don’t know it. – Don’t approach a dog quickly and surprise it. Move slowly and let it come towards you first. – If a dog begins to growl and/or bare its teeth, try not to panic. Don’t run away or scream. Avoid making eye contact and move away from the dog slowly. – Run or ride your bike in familiar areas where you’ve never encountered an aggressive dog. It might be boring to always go the same route. It can also make the difference in whether you return home safely from your activities. Always ask a dog owner if it’s okay to pet their dog. Even the friendliest looking dogs may have a history of biting or other aggression issues. – If a stray dog approaches you, stand perfectly still. Don’t look directly into its eyes. – If a dog knocks you down, curl into a ball and place your hands over your ears and necks. – Call animal control whenever you spot a stray dog. Let any parents in the area know about the dog so they can keep their children safe. From a nip that barely breaks the skin to severe, deep wounds, all dog bites need to be treated. 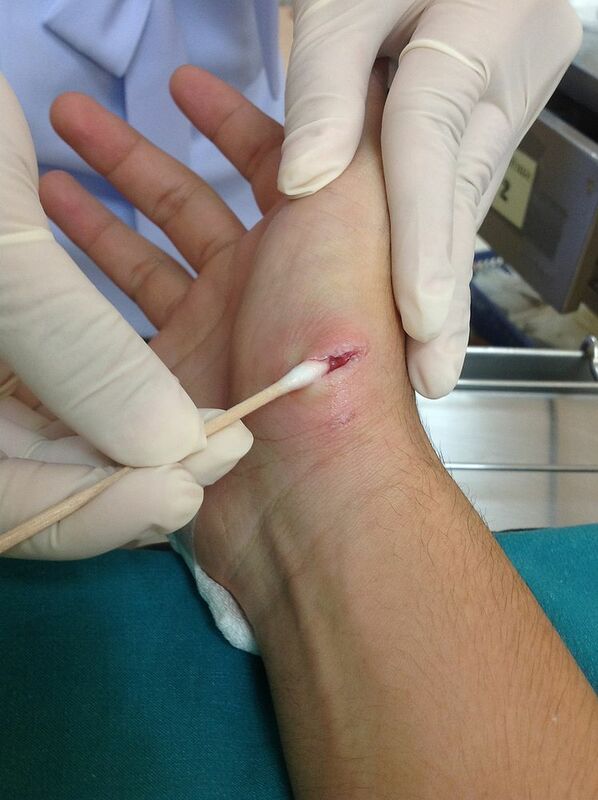 Even a minor puncture wound allows bacteria inside. The medical provider will give you antibiotics to prevent an infection. Another potential risk is that of rabies. If the dog is up-to-date on its vaccines, you’re okay. If not, or the owner won’t/can’t submit proof, you are at risk of developing rabies. Unless vaccinations can be proven, you will need to undergo a series of rabies shots. The first is given along with a shot of immune globulin right after the bite. The following three shots are given on the 3rd, 7th, and 14th days following the bite. Waiting more than six days after the attack will prevent the vaccine from working. If you’ve been exposed to rabies and don’t take the vaccine, you will probably die. The vaccine is almost 100% effective when given on time. Your doctor might give you a tetanus shot if you haven’t had one within the past ten years. If your wound is deep enough, it might require stitches. More serious wounds that cause damage to the bone, muscles, or other soft tissue might require surgery. Those with extensive damage to the skin can also require one or more plastic surgeries to restore the victim’s appearance. When a dog bites you, the dog’s owner is liable for your injuries. But what happens when another dog bites your dog? If another dog bites your dog while he is on your property or anywhere he is legally allowed, the other dog’s owner is responsible for their dog’s bite. 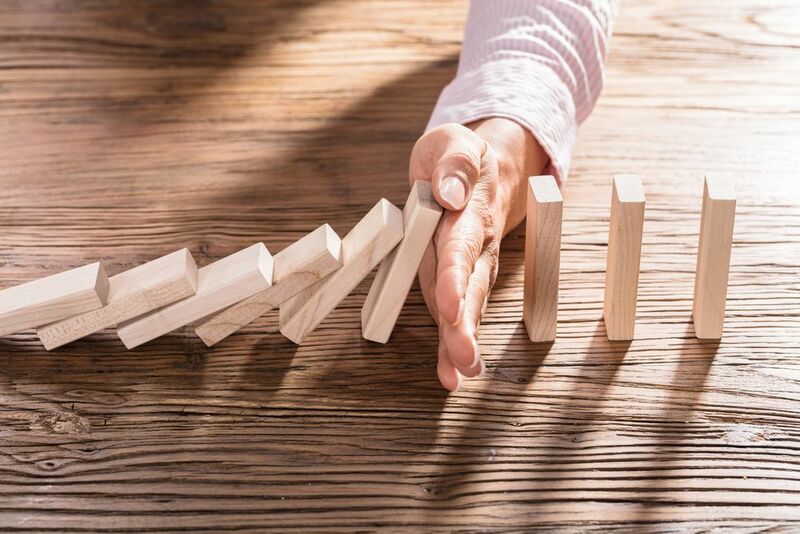 California is a shared negligence state, meaning you could be found partially at-fault too. For example, you have your dog at the dog park, but you don’t have him on a leash. If the other dog has a reputation for aggressive behavior, you might be 10% at-fault while the other dog’s owner is 90% at-fault. Your dog is your property according to the law. When someone else causes damage to your property through negligence, you may have a personal injury claim. They are responsible for your damages to get things back to normal, as much as is possible. A trip to the emergency room to treat a minor dog bite can cost several hundred dollars. If rabies shots are required, you can expect the cost to be much higher. There’s also the cost of stitches, antibiotics, and even time off from work if you are unable to do your job. Severe wounds that require hospitalization can cost thousands of dollars. Sometimes health insurance doesn’t pay the cost of reconstructive surgery for those who need it to recover. The scars from dog bites are often on the inside as well as the surface. Many dog bite victims worry excessively about having the same experience again. If you’ve been bitten by a dog, contact Krasney Law to learn more about your rights. 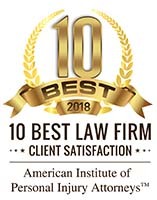 Personal injury law is complex and the law regarding dog bites varies by state. Never take a dog bite lightly, no matter how minor your wound might seem. 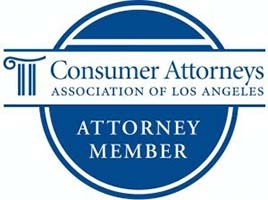 You deserve compensation for your expenses and what you’ve been through from your experience.